Three Aedas projects in Asia, including THR350 in Hong Kong, Sentosa Boardwalk and 8 Napier in Singapore, won this year’s Design for Asia Award (DFAA). Among nearly 1,000 submissions, THR350 received a Silver award for Home and Residential Spaces; Sentosa Boardwalk won a Silver award for Culture, Public and Exhibition Spaces; and 8 Napier is awarded a Bronze award for Home and Residential Spaces. 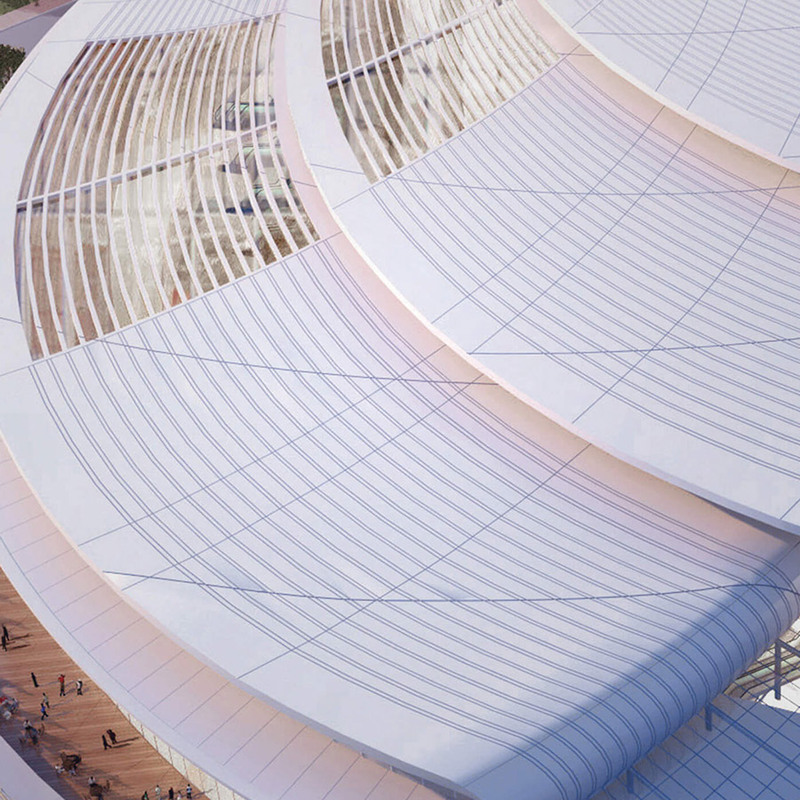 Aedas is built on a belief that great design can only be delivered by people with a deep social and cultural understanding of the communities they are designing for. Its global platform provides designers the latest information and delivery systems they need to produce the best of class design solutions. These awards once again proved that Aedas is on the right track. THR350 is a nine-storey private residence designed by Ken Wai, Member of the Board, Aedas International. Located at a hillside on the Hong Kong Island, its design was inspired by an early image of the city which shows a waterfall pouring down from a cliff and visually dividing the rock surface into two portions. This visual became the key driver of the design concept which uses a 1.5-metre grid to govern the planning of the building. This is rigidly followed through on the façade to resemble the sturdy rock face; but punctuated by a sculptural staircase that reflects the freeform of water and was further reinterpreted as three stacking ice cubes. The collision of forms not only links the building to the historic setting of Hong Kong but also the current context of the site, making it uniquely appropriate. Sentosa Boardwalk in Singapore is built on a new structure above the sea with an overall length of 670 meters to connect Vivocity and the Resorts World. Designed by Aedas’ Executive Principal Gruffudd Owain and Associate Jared Lee, this boardwalk is mainly to serve and link the pedestrian flow from the two mega commercial developments, with a built-up area of approximately 16,400 square metres and travelators with shelters and canopies. There is also a large area of interesting landscaped garden as well as dining and retail outlets, souvenir shops and ticketing booths along the boardwalk. Nestled in the green and lush environs of the prestigious Napier Road within close proximity to the Singapore Botanic Gardens, 8 Napier redefines apartment living in Asia. In line with the qualities that make Singapore renowned in the world as a ‘Garden City’ – light, air, space and greenery – the clean and modern architecture of 8 Napier, designed by Aedas’ Executive Director Derrick Tan and Senior Associate Xinyan Wu, strives for serene simplicity with a choice palette of tasteful materials, green designs and a unique spatial concept. Standing at 10-storey high and comprising a total of 46 units, 8 Napier offers a superlative standard in apartment living with an indistinguishable boundary of indoor and outdoor living.